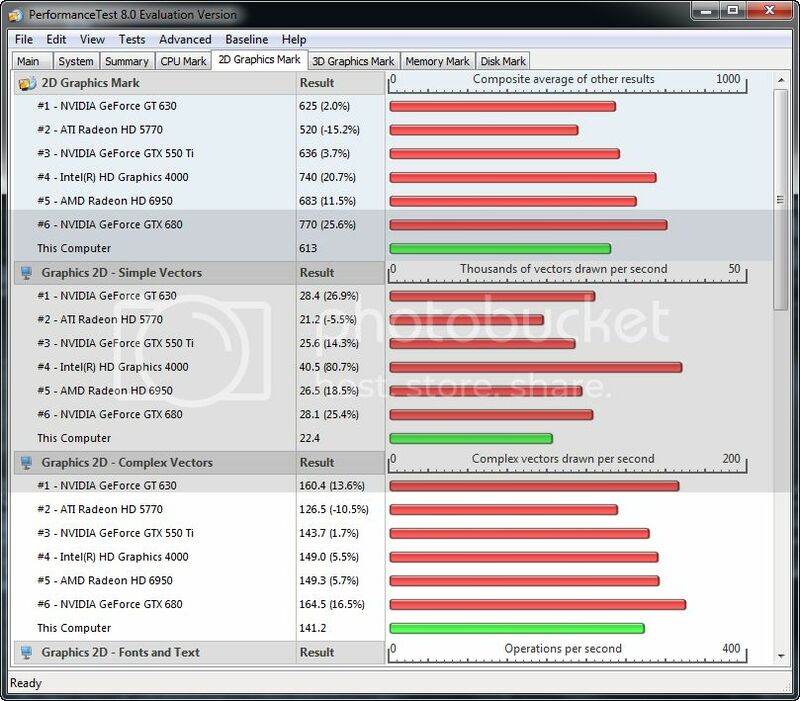 I recently bought an IdeaPad Z500 which features a Nvidia GT 740M 2GB video card. 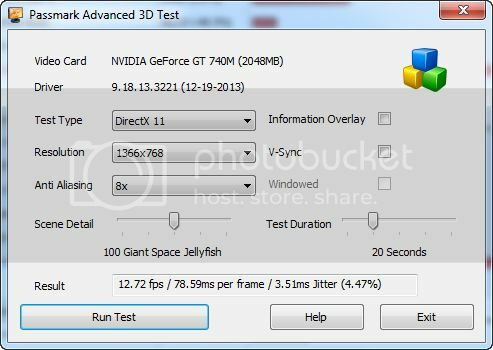 Even if the card is 64 bit the results I'm getting with it on 1366x768 resolution are quite poor compared with others with the same video card. 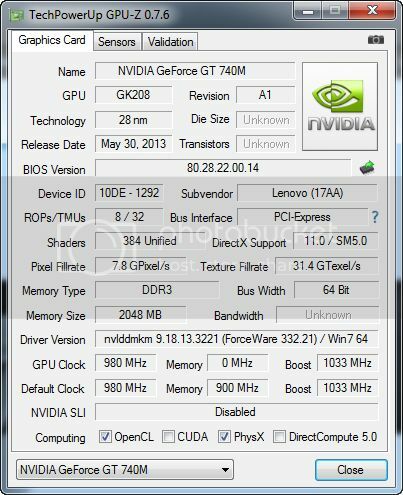 In the Nvidia control panel settings is the GT 740M card set as default card for applications. 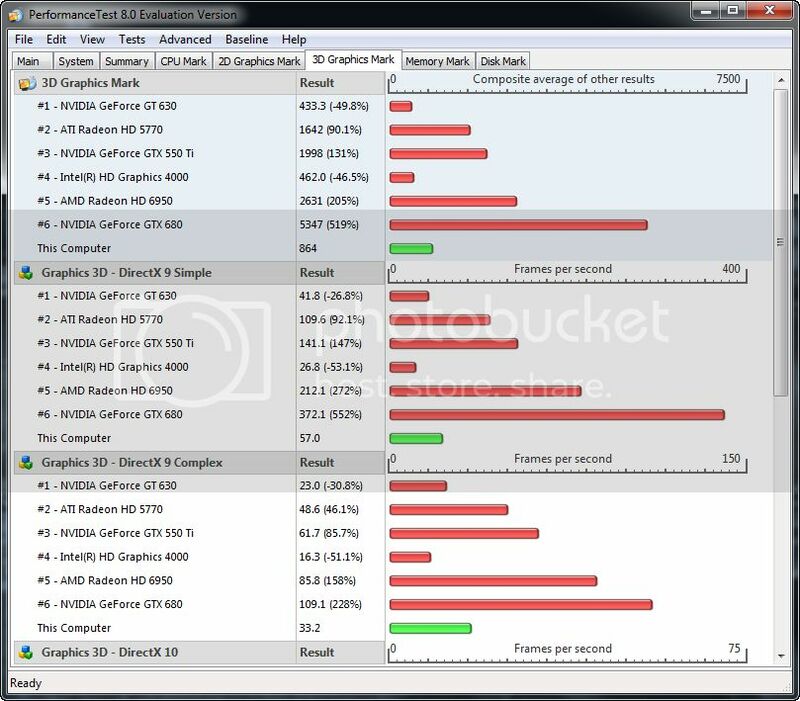 The driver is the latest for both Nvidia (332.21) and Intel HD4000 (8.15.10.2712). Hi and thank you for the quick answer. I tried everything you mentioned. I even uninstalled Lenovo Energy Management and managed the performance via Windows. Don't worry about WEI. It usually uses integrated GPU for those tests. 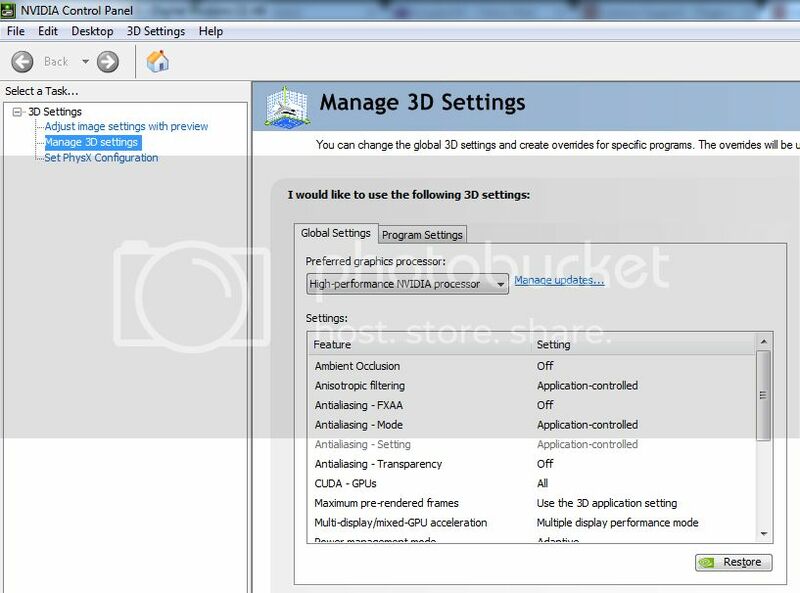 To check if your system is actually using Nvidia GPU in WEI and other apps/games just go to Nvidia Control Panel-> Desktop-> Enable GPU activity icon in notification area. When the icon turns colorful it means dedicated GPU is in use. When you click at it a list of apps using it will pop up. Those results seem to be correct. Unfortunately you have a GT740m based on GK208 GPU, which means you have DDR3 memory and 64 bit bus width, which limits the performance. On the other hand on 1366 x 768 it should run most of the things you throw at it, but often on lower settings.